A masterful, single-volume history of the Civil War's greatest campaign. 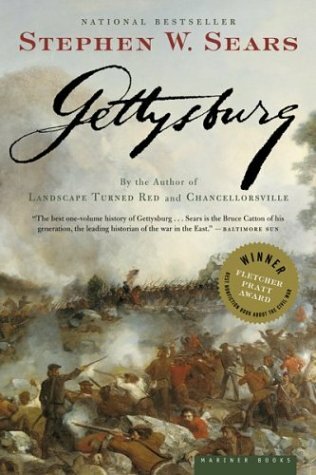 Drawing on original source material, from soldiers' letters to official military records of the war, Stephen W. Sears's Gettysburg is a remarkable and dramatic account of the legendary campaign. He takes particular care in his study of the battle's leaders and offers detailed analyses of their strategies and tactics, depicting both General Meade's heroic performance in his first week of army command and General Lee's role in the agonizing failure of the Confederate army. With characteristic style and insight, Sears brings the epic tale of the battle in Pennsylvania vividly to life. The Battle of Gettysburg represented the high water mark of the Confederacy when it was fought in July 1863. Robert E. Lee was served in the United States Army in Mexico and led the Confederate Army in the Civil War. The Confederate States of America was formed by the states that seceded from the Union in 1861 and was dissolved in 1865. Pennsylvania was founded by William Penn, leading the way during the American Revolution and the Industrial Revolution.